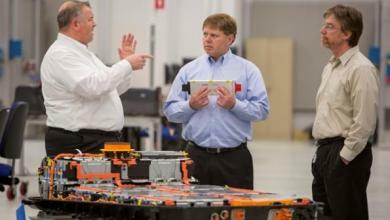 In a recent media briefing at GM’s Alternative Energy Center, GM executives say the Chevrolet Bolt electric vehicle will exceed the company’s original range estimate of 200 miles. This is an important announcement in light of Tesla’s Model 3 unveiling that touts 215 miles range. Official numbers aren’t due for a number of months once the Bolt has completed EPA certification, but hitting a distance of 210, 220 miles is key because GM says the market research shows that around 70% of all automotive buyers would consider an EV as their primary vehicle with that sort of capability – and at an affordable price. The Nissan Leaf is due for a revamp in 2017, and will likely have a similar range and price-point; it will have to if Nissan wants to maintain it’s lead in the EV market. GM engineers say that starting from the ground up building the Bolt EV represents a revolutionary leap in EV technology. Everything from the 200-hp electric drive motor to the optimized battery pack is designed for the Bolt. 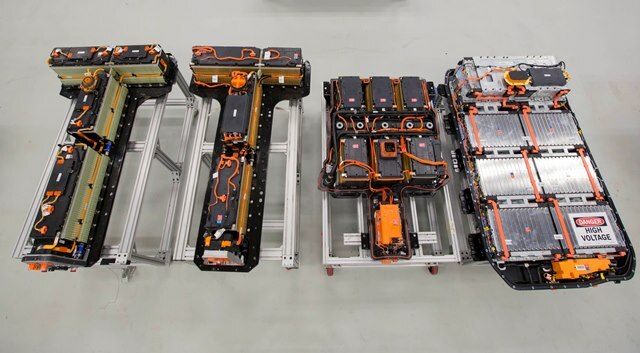 For example, due to the size and weight of the battery pack, Chevrolet made the batter pack part of the structural integrity of the vehicle, and that actually increased structural rigidity by 20%. Coupled with a low center of gravity, the Bolt is a “fun car to drive” in the words of Tim Grewe, general director of electrification. This entry was posted in Specifications on April 7, 2016 by Admin. Chevrolet states in 2017 the Chevrolet Bolt will get up to 320 km’s per charge. That is impressive. Do I understand that the 210-210+ mile range is at highway speeds, at least 60mph? Without a transmission, could I assume back road driving at 35mph should dramatically raise range to…..250miles? I am disappointed there is no transmission. Even a simple 2 speed transmission to lower rpms by 20% to 30% would raise range by 10+%. On my motorcycle I still remember changing my sprocket & counter-sprocket gear set, dropping my rpms by 15%. My cycle ran the highway, quieter & smoother & range & mpg leaped 10%. I’m not sure that lower RPMs on an electric motor necessarily has the same impact…. perhaps their motor does run at optimum efficiency at highway speeds? Of course, we have to remember NEVER to charge the battery all the way to 100% & never deplete the battery to zero. To use the entire battery capacity every time, will cause your battery to go belly up real fast. Charge ONLY to 80% & NEVER deplete the battery below 20% for maximum lifespan. Also, don’t use fast charging & don’t race the Bolt, depleting the battery way too fast. In other words, treat the battery like Americans treat machinery & you’ll be walking & cussing sooner than you thought you would. we have to remember NEVER to charge the battery all the way to 100% & never deplete the battery to zero. I believe that the manufacturers already consider that with the buffers. That is called a “buffer” and is built into the software programming on basically every EV sold. Chevy having some of the most aggressive buffering, which pays dividends when you look at the 300,000+ mile Volt in service on its original battery with no detectable range loss.